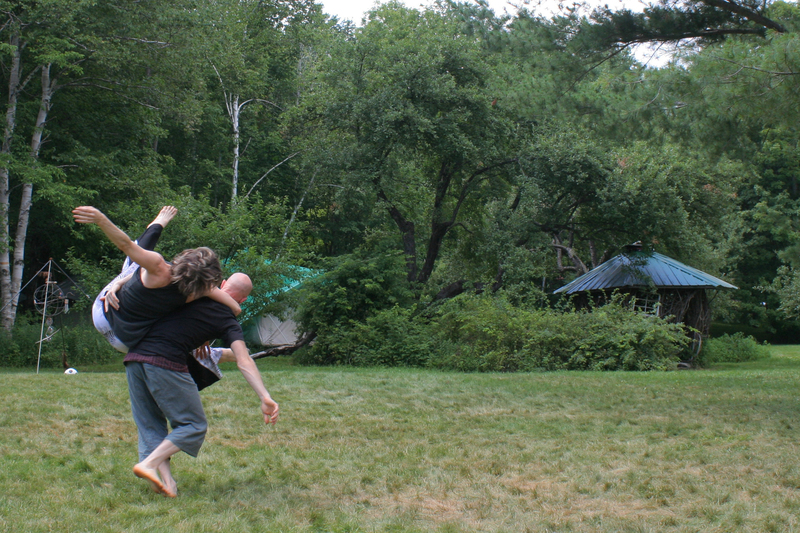 The grass is high, bees are buzzing, the garden smells and tastes like heaven, and contact improvisation is our focus in the studios and in the woods. What better way to be patriotic than to dance with the land and make fireworks on the dance floor? The Earthdance Family Committee organizes a structured children's program for several hours/day. All levels of experience welcome. *Young people qualify as 0 - 17 years of age. Commuting: $15 less per day for adults and $5 less per day for each young person (Please email contact@earthdance.net if you are interested in commuting). Single Day Attendance: A limited number of single day slots are available. One day per person. These do not include sleeping over. Please contact the office manager at 413-634-5678 or contact@earthdance.net to find out about single day slots. Cancellation 3 weeks or more before the start of the workshop or jam: Earthdance will refund deposit money in full. Cancellation within 3 weeks of the workshop or jam: Earthdance keeps full deposit. days after your payment, you will lose at least 3-4% in non-refundable PayPal fees.